Once upon a time there was a lighting company called Porcelier. For many decades the company created extraordinary lighting fixtures made of porcelain and glass, and these fixtures were sold across the land. This magical company closed in 1954, and their fixtures are today greatly desired. I have a fondness for Porcelier, and delight in their luscious designs, amazing quality, thick glass, delicate porcelain, and at the wonder of their creations. I sell a LOT of Porcelier, and very occasionally, very, I come across something which I have not only never sold before, but which I have never even seen before. At such a moment of discovery, my heart skips a beat. How cool is this? 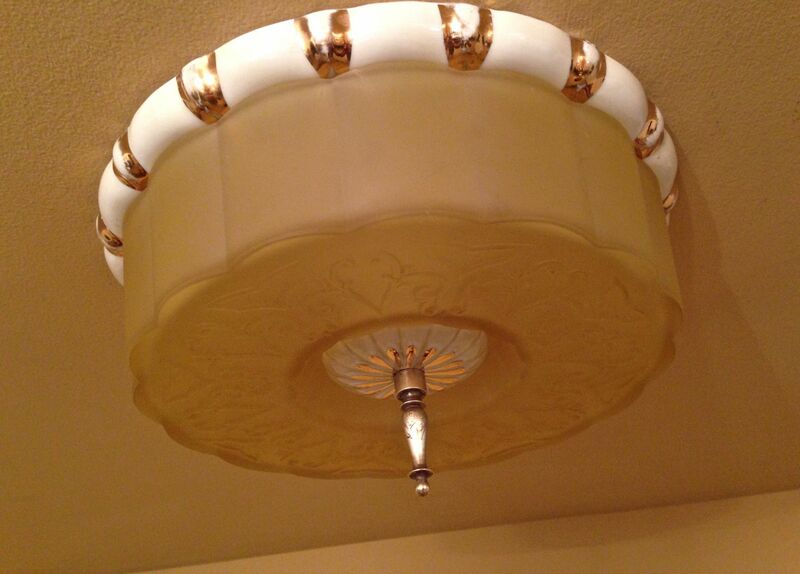 The ceiling mount is a single piece of porcelain, and with real gold tips. I did not know this fixture even existed until I found this one. 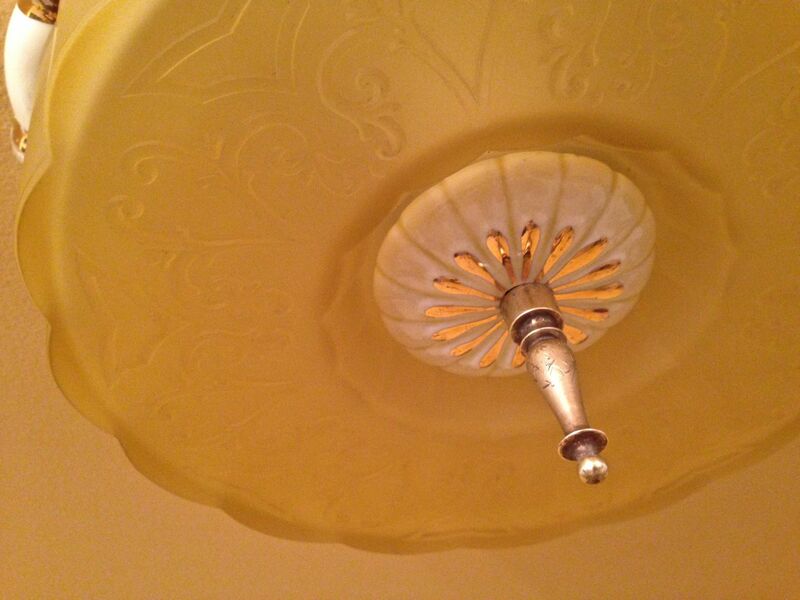 The golden glass shade has lovely designs in relief, and there is a separate porcelain & gold flourish under the shade. I love it! I also love the dramatic elongated finial! I love all the gold touches and details in the glass 🙂 It’s a very rich looking light!